Preview takes a quick trip around the globe, and discovers a wonderfully diverse selection of performances to celebrate the arrival of the New Year. The Los Angeles Philharmonic goes Latin, the San Francisco Symphony hosts a masquerade ball, the New York Philharmonic opts for comedy, the London Symphony Orchestra goes to the movies, the Mariinsky Opera celebrates 200 years of Verdi – and the Vienna Philharmonic heralds the arrival of the New Year with its traditional concert of Strauss favourites. Walt Disney Concert Hall in Los Angeles extends an invitation to celebrate New Year’s Eve in true carnival style – with legendary Brazilian producer, composer, keyboardist and vocalist, Sergio Mendes, accompanied by singer and percussionist, Sheila E, a troupe of Brazilian dancers – and a carnival-style cocktail party. 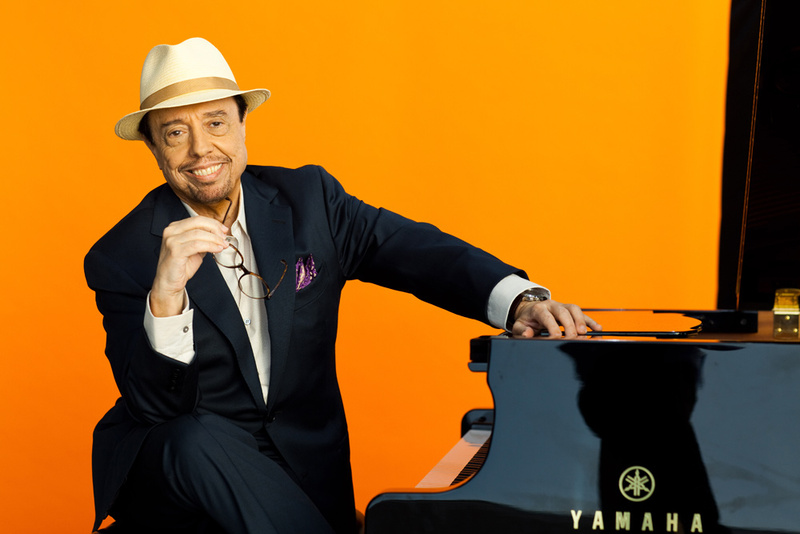 One of the most internationally successful Brazilian artists of all time, Sergio Mendes has been delighting the world with his own sophisticated mix of bossa nova and samba over the past five decades, shooting to international stardom with his album Sergio Mendes and Brasil ’66. More recently, in 2012, Mendes received his first Oscar® nomination in the music category for his contribution to the score of the animated 3-D feature film, Rio, of which he was executive music producer. He’ll be providing the music for the sequel, Rio 2, as well, due for release in the US in April 2014. Sergio Mendes is joined for this celebratory concert by one of the most talented percussionist/drummers in the world, Sheila E, daughter of jazz percussionist Pete Escovedo – who’ll be in San Francisco, appearing at the SFJazz Center’s New Year’s Eve bash. Having performed and/or recorded with some of the greatest names in jazz, Sheila has also appeared at the Oscars with Placido Domingo, served as musical director for names such as Jennifer Lopez, Beyoncé Knowles, and Prince, and is soon to follow Marvin Gaye on his final world tour. San Francisco Symphony is set to add some sparkle to New Year’s Eve with its traditional Masquerade Ball. Corks will pop, glasses will fizz, and British conductor Michael Francis will once again lead the Symphony in a confection of delights from Franz Lehár, Strauss the younger, Gershwin, Lerner and Lowe, Jerome Kern and Oscar Hammerstein, Kurt Weill and Ogden Nash. Guests will dance the night away on the stage of Davies Symphony Hall, in true 1930s style, to the music of the Peter Mintun Orchestra. 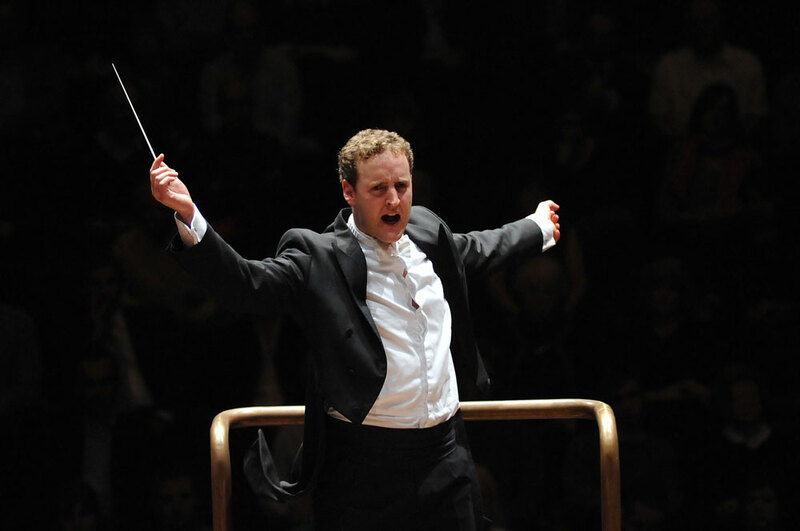 Michael Francis, a great favourite with San Francisco audiences, is currently Chief Conductor and Artistic Advisor of Sweden’s Norrköping Symphony Orchestra. Earlier this year, Decca Classics released Valentina Lisitsa’s sensational recordings of the four Rachmaninoff piano concertos and Rhapsody on a Theme of Paganini, on which Michael conducted the London Symphony Orchestra. This is his third New Year’s Eve appearance with the San Francisco Symphony, and special guest artists include Grammy® Award winning mezzo-soprano Sasha Cooke, and baritone Kelly Markgraf, in a concert which will be broadcast live on KDFC, the Bay Area’s classical music radio station, and streamed round the world on www.kdfc.com. The New York Philharmonic, led by Music Director Alan Gilbert, will be joined at Lincoln Center for its New Year’s Eve Gala Concert by musical humorists Igudesman and Joo in their Philharmonic debut – with a special guest appearance by violinist Joshua Bell. 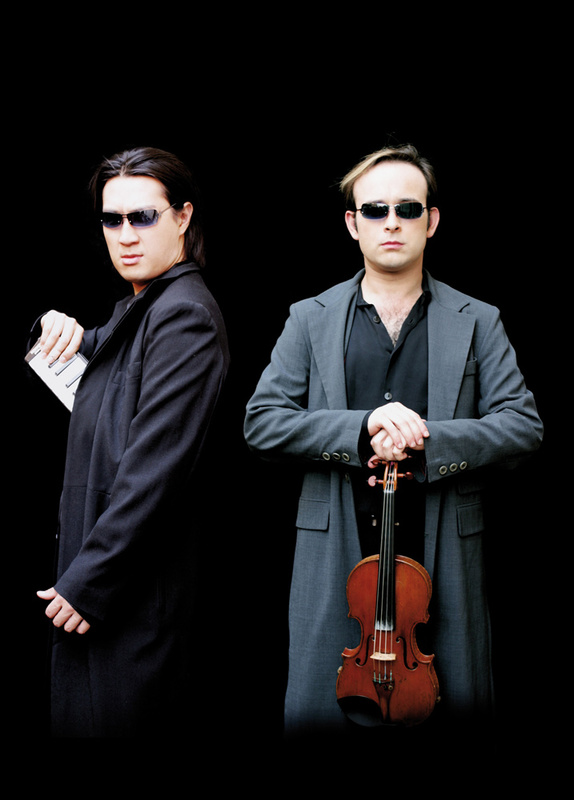 Described by the Los Angeles Times as “The kings of classical music comedy”, violinist Aleksey Igudesman and pianist Hyung-ki Joo throw tradition to the winds with their unique and hilarious combination of classics, comedy, popular culture and fun, from which there’ll be no escape for conductor Alan Gilbert or the musicians of the Philharmonic. Rachmaninoff, Johan Strauss II, Mozart and even the James Bond theme feature in the programme which includes the world premiere of Ring in the Classics, written by Igudesman and Joo for Alan Gilbert who’ll apparently be placed firmly in the spotlight. Over to London, where the Royal Albert Hall invites you to celebrate the New Year in style, as it opens its doors for the first time for an end-of-year event. On the programme is an exclusive UK premiere, The Artist – Live in Concert. Recalling the golden days of the Hollywood silent film, the multi-award winning French film The Artist will be screened in high-definition, with the soundtrack performed live by the London Symphony Orchestra, conducted by Ernst Van Tiel. The special guest pianist is Ludovic Bource, Oscar-winning composer of the score for what has become the most decorated French film in history. 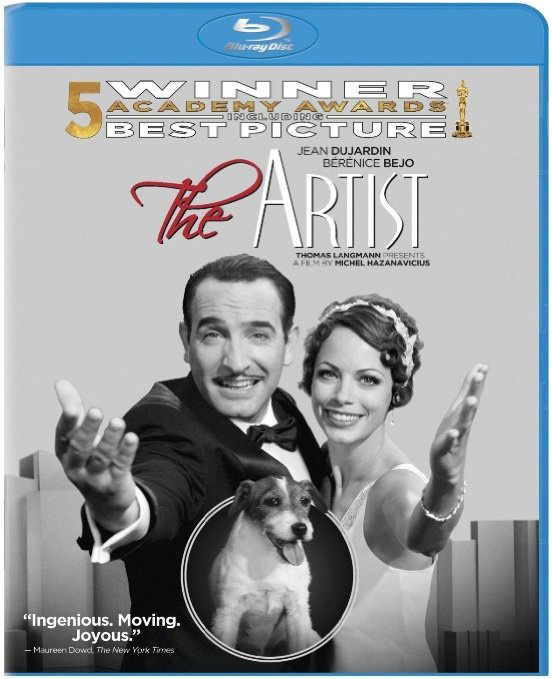 Set in Hollywood between 1927 and 1932, The Artist was written and directed by Michel Hazanavicius, and stars Jean Dujardin and Bérénice Bejo. Nominated for 10 Academy Awards ®, it won five – including Best Director (the first French film ever to win this award), Best Picture and Best Original Score. It was also nominated for six Golden Globe Awards – winning three – and securing seven of the 12 BAFTAs for which it was nominated. In celebration of the Verdi bi-centennial in 2013, St Petersburg’s Mariinsky Theatre rounds off the year with the premiere of a new production, by Pier Luigi Pizzi, of one of Verdi’s most loved operas, Il trovatore. The performance takes place in Mariinsky II, the city’s spectacular new theatre located alongside the historic 1860 Mariinsky Theatre and the 2006 Concert Hall, forming part of a unique cultural complex. With overall musical direction by Valery Gergiev, conductor Mikhail Sinkevich leads the Mariinsky Theatre Orchestra in this production which features soprano Tatiana Serjan as Leonora, and mezzo-soprano Ekaterina Semenchuk as Azucena. Stage director and costume designer, Pier Luigi Pizzi, is one of Italy’s most respected opera directors, who has worked on Il trovatore several times before. 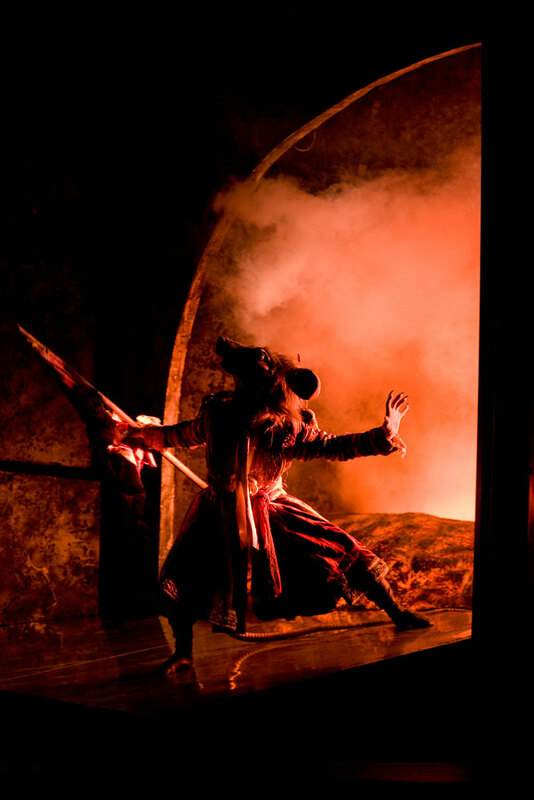 Referring to Il trovatore as “an icon of Verdian melodrama”, he says: “The perfection of the opera’s musical form, its engaging subject, the vivid choral fragments and the incredible beauty of the melodies allow Verdi to convey human passions to as great a degree as possible: love, hate, jealousy, revenge, death…”. Finally, to Vienna, where – true to tradition – the Vienna Philharmonic will once more delight music lovers the world over, as it heralds the New Year with a joyful concert of music from the repertoire of members of the Strauss family and their contemporaries. These New Year concerts had their origins during a dark period of Austria’s history – the early years of the Second World War – and were conceived for local audiences, to remind them of happier times, and to provide a source of hope for the future. Through its interpretation of the masterworks of this genre of music, the members of the Vienna Philharmonic – as musical ambassadors of Austria – send a New Year’s greeting to people all round the world, in the spirit of hope, friendship and peace. 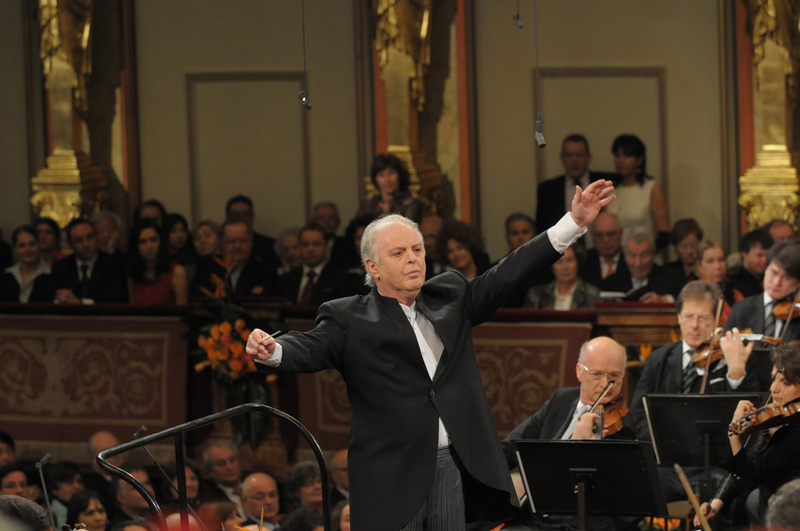 The year 2014 marks the 100th anniversary of the outbreak of World War I, and the Vienna Philharmonic considered it appropriate to invite the Argentine-born Israeli pianist, conductor and peace activist, Daniel Barenboim, to lead the orchestra in its first concert of the year. During an illustrious career spanning six decades, Barenboim’s list of achievements has been nothing short of spectacular, but perhaps the one closest to his heart is the establishment – with Edward Said – of the West-Eastern Divan, an orchestra which has brought together Israeli and Arab musicians, providing them with total equality in defiance of the fierce political divides of the Middle East. 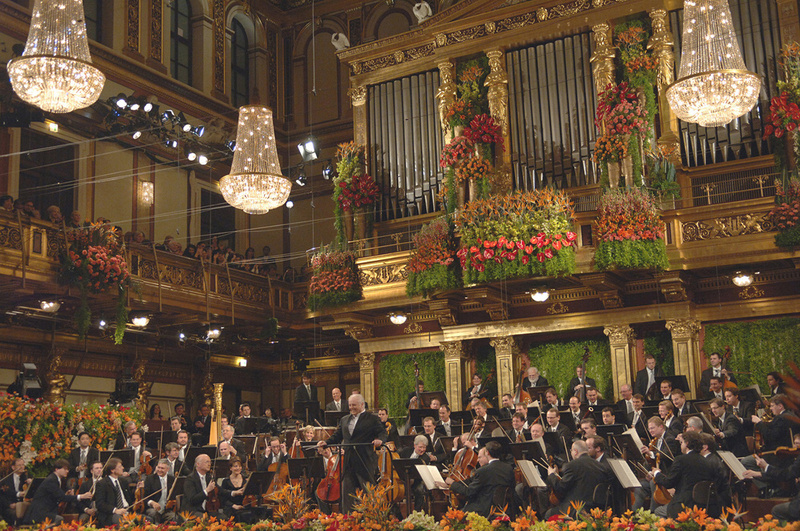 This, the 74th annual New Year’s Concert of the Vienna Philharmonic, features the music of Eduard Strauss, Josef Strauss, Johann Strauss Snr, Johann Strauss Jr, Josef Hellmesberger Jr, Richard Strauss, Joseph Lanner and Leo Delibes, and will be broadcast live or time-delayed in over 80 countries around the world on New Year’s Day. It will also be recorded live by Sony Classical for release on January 13. Wherever in the world you are, Preview sends every good wish for 2014. May it bring peace and joy to you all. 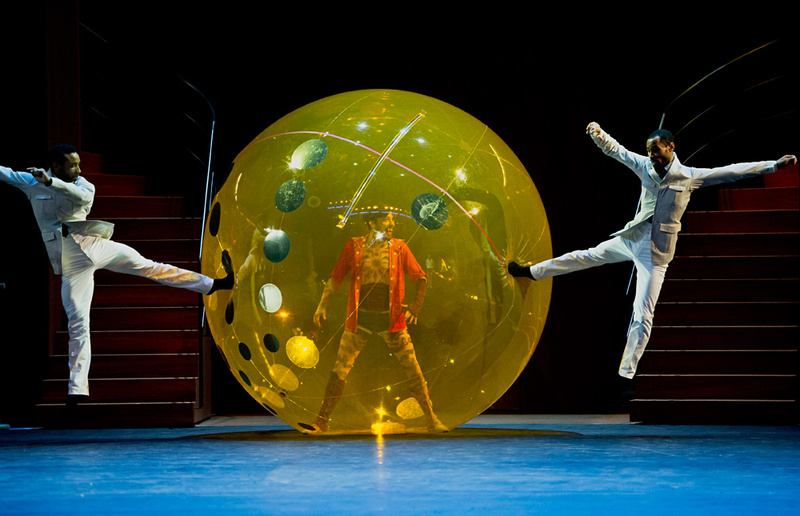 During the month of December, Les Ballets de Monte-Carlo has been celebrating the 20th anniversary of the appointment of its Director-Choreographer, Jean-Christophe Maillot, and the highlight of the celebrations – and of the Company’s 2013-14 season – will undoubtedly be his new creation, Casse-Noisette et Compagnie, which opens at the Grimaldi Forum on December 26. This new interpretation of The Nutcracker is based on Maillot’s original production of the work known as Casse-Noisette Circus, which took place under the canvas ceiling of the Chapiteau de Fontvieille in 2000, to celebrate the jubilee of HSH Prince Rainier III, who loved both the circus and dance. This new creation is not only an echo of Maillot’s original work, it also reflects his own story since his arrival in the Principality in 1993. The ballet, as in the traditional version of The Nutcracker, tells the story of Clara who, through the intervention of a magician, sees her dreams becoming reality – a reflection of Maillot’s own experiences in Monaco. He, too, had a dream – of creating an artistic world in the Principality – and, like Clara, he also met a ‘magician’, in his case, HRH the Princess of Hanover, patron and key supporter of choreographic art in Monaco, who made his dream a reality and to whom he pays tribute in this work. Casse-Noisette et Compagnie, based on a theme by J-CH Maillot and Jean Rouaud, and set to Tchaikovsky’s score for The Nutcracker, is performed by the 50-strong company of Les Ballets de Monte-Carlo, accompanied by L’Orchestre Philharmonique de Monte-Carlo, under the direction of Nicolas Brochot. Set design is by Alain Lagarde and costumes by Philippe Guillotel. The production takes place in the Salle des Princes, Grimaldi Forum, Monaco, from Thursday December 26th to Sunday January 5th. Jean-Christophe Maillot celebrates the 20th anniversary of his appointment as Director and Choreographer of Les Ballets de Monte-Carlo on 11th December, and students of Monaco’s Princess Grace Academy are to present a ‘Surprise Evening’ in the Salle Garnier at the Monte-Carlo Opera in his honour. 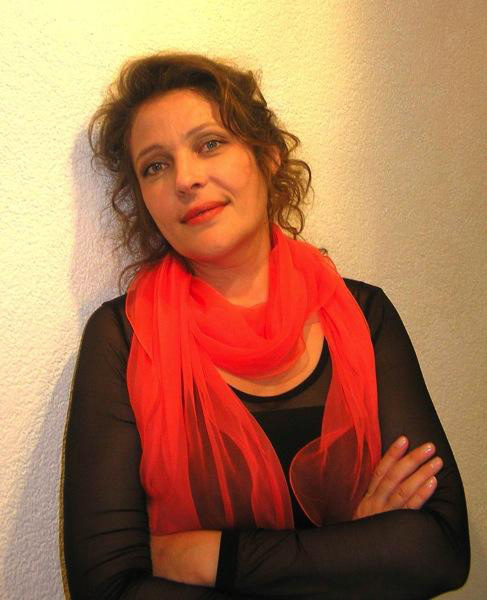 Organised by Luca Masala, Director of the Academy, the event will feature a selection of works from Maillot’s repertoire, but details of the programme are being kept under wraps until the performance. An order has been issued that nothing at all is to be revealed in advance – and M Maillot himself is not even being let into the secret! Described as neither classical nor contemporary in his approach to ballet, J-CH Maillot draws his inspiration from all aspects of the arts – theatre, dance, visual art and literature – all are instrumental in his creative process. He is also known for his entrepreneurial spirit and his commitment to including in the Company’s repertoire works by choreographers with varying styles of creativity, a repertoire seen as a valuable teaching aid for pupils of the Princess Grace Academy, instilling in them the need for great versatility in their technique as well as in their performing skills. Jean-Christophe Maillot studied dance and piano at the Conservatoire National de Région de Tours, then joined the Rosella Hightower International School of Dance in Cannes, winning the 1977 Prix de Lausanne. Having then been invited by John Neumeier to join the Hamburg Ballet, he danced as a soloist for Neumeier’s company for five years, before an accident forced the termination of his dancing career. He was appointed choreographer and director of the Ballet du Grand Théâtre de Tours in 1983, creating around 20 ballets for the company, and two years later he founded the Dance Festival Le Chorégraphique. In 1987, J-CH Maillot created Le Mandarin Merveilleux for Les Ballets de Monte-Carlo, and became the company’s Artistic Advisor for the 1992-93 season. In September 1993, he was appointed Director-Choreographer by H R H the Princess of Hanover. With his appointment, the future of this company of 50 dancers took on a new focus, one which would rapidly establish the standard of excellence and creativity for which Les Ballets de Monte-Carlo has become widely known. 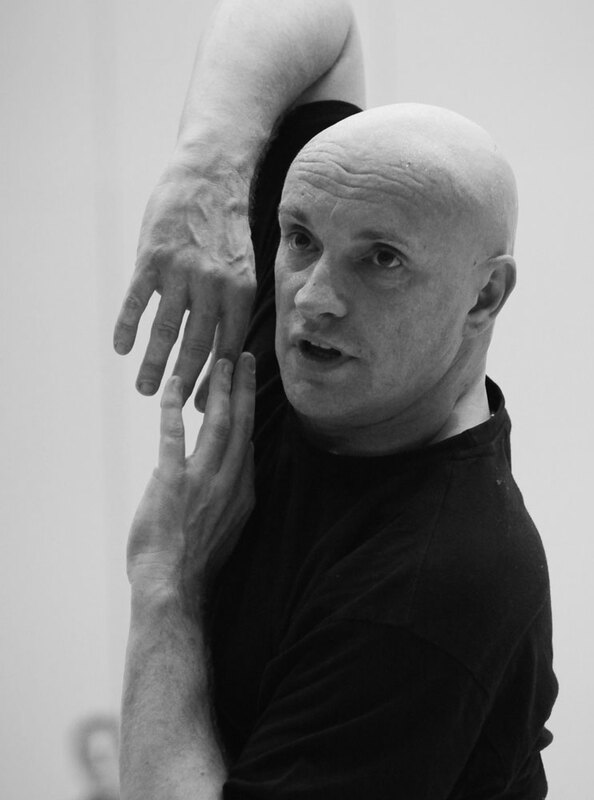 Jean-Christophe Maillot has created almost 30 ballets for the Company, works such as Vers un pays sage, Romeo and Juliet, Cinderella, La Belle, Le Songe, Altro Canto, Faust, LAC and Choré. Several of these have now been taken into the repertoire of a number of major international ballet companies – the Grands Ballets Canadiens, the Royal Swedish Ballet, the Korean National Ballet, the Stuttgart Ballet, the Royal Danish Ballet, the Ballet du Grand Théâtre de Genève, the Pacific Northwest Ballet, the American Ballet Theatre and the Béjart Ballet Lausanne. The ‘Surprise Evening’ in honour of Jean-Christophe Maillot takes place at the Salle Garnier, Opéra de Monte-Carlo, on Wednesday, December 11th, at 8.30 pm. 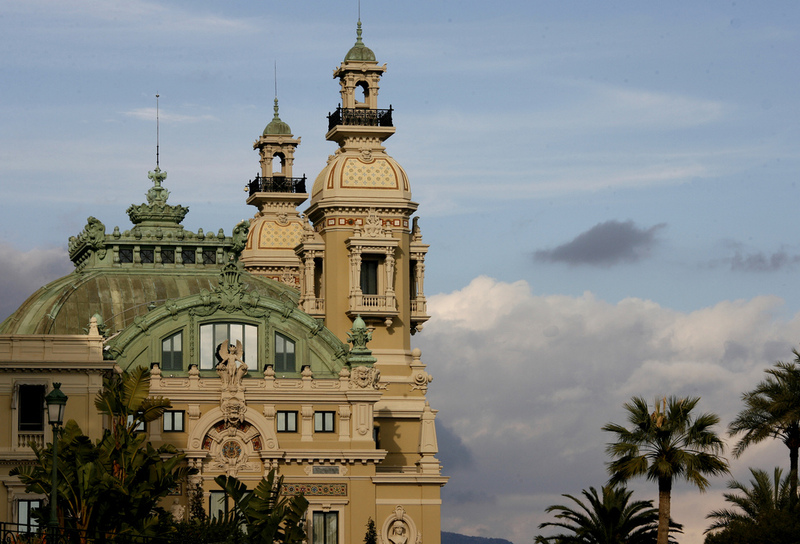 For further information and tickets, please visit the website of the Ballets de Monte-Carlo. Tickets may also be booked online www.fnac.com, or by telephone on 00377 99 99 30 00. The Company celebration of M Maillot’s anniversary takes place with the opening of Casse-Noisette et Compagnie on December 26th which Preview will be covering shortly. Christmas ….. and the world of ballet is once again in thrall to Tchaikovsky’s The Nutcracker which never fails to delight, bringing with it the magic and sparkle of the festive season. 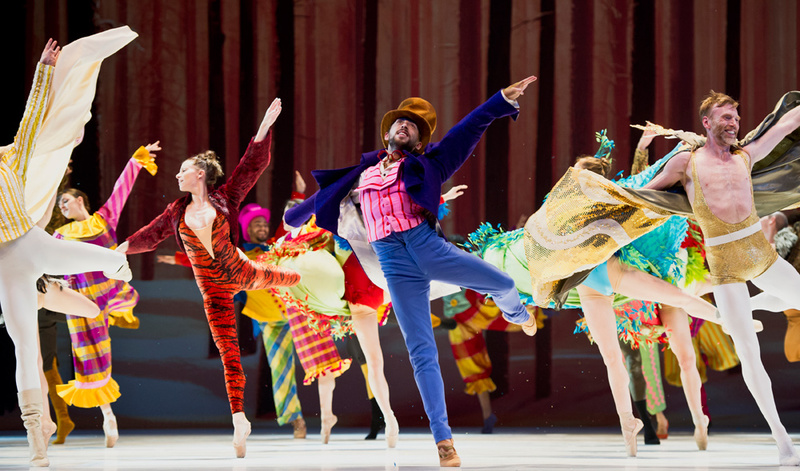 This enchanting ballet was originally based on E T A Hoffman’s 1816 fairy tale, The Nutcracker and the Mouse King, which was actually a somewhat frightening story, and really only intended for adults. Some years later, however, Alexander Dumas père reworked the story to make it more suitable for children, and Marius Petipa, chief ballet master of the Russian Imperial Ballet was so taken with this version that he decided to create a ballet around it. He commissioned Tchaikovsky to write the music, and Lev Ivanov, his assistant at the Imperial Ballet, to choreograph it. 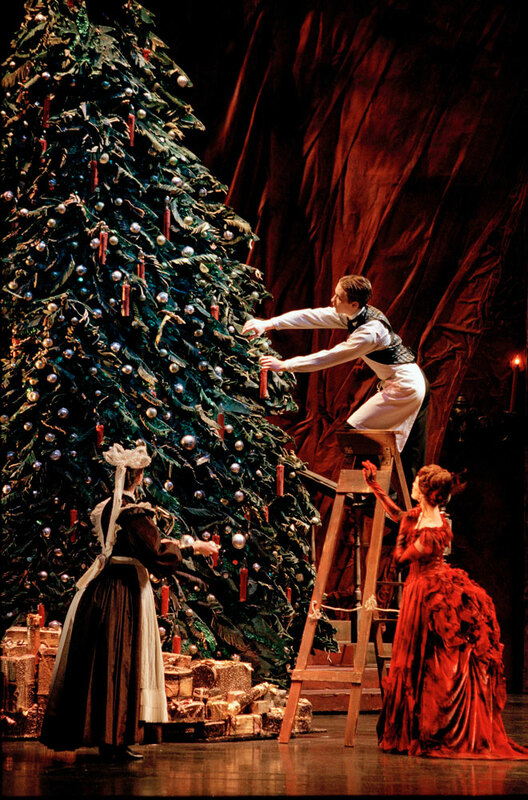 The Nutcracker received its world premiere on December 18th, 1892, at the Mariinsky Theatre in St Petersburg. New York City Ballet’s production bears the title George Balanchine’s The Nutcracker™, having been created by the master choreographer for the company he had founded, with Lincoln Kirstein, in 1948. Balanchine was a 15-year-old student when he first danced the role of the Prince in the Mariinsky Theatre’s 1919 production in St Petersburg. On February 2nd, 1954, as ballet master and principal choreographer of New York City Ballet, he premiered his own version of the ballet at the City Center of Music and Drama. The glorious costume design, by Academy Award-winning Barbara Karinska, has been retained to this day, as has the scenic design by Rouben Ter-Arutunian. 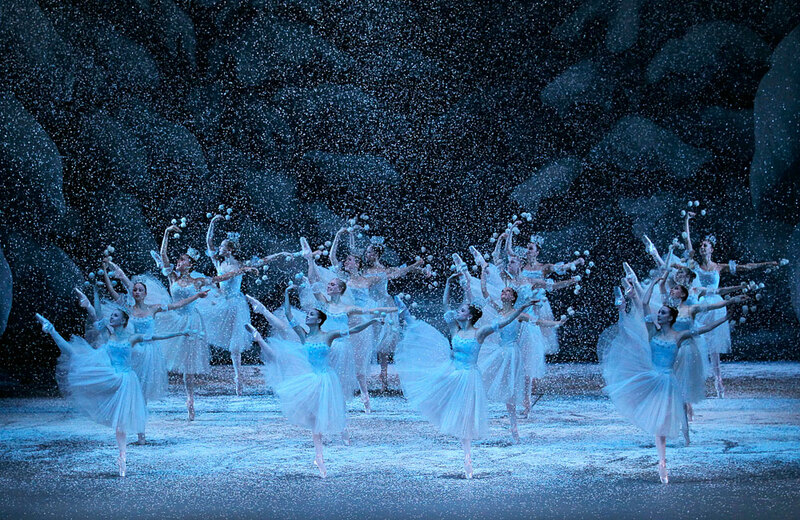 From the one-ton Christmas tree that grows to a height of 40 feet, to the fluttering, crystal-shaped snowflakes in the Kingdom of the Snow, George Balanchine’s The Nutcracker™is known as one of the most complex theatrical staged ballets in the Company’s active repertoire. New York City Ballet’s production of George Balanchine’s The Nutcracker™ runs at the David H Koch Theater until January 4th. Further information and details on tickets can be found on the Company’s website. 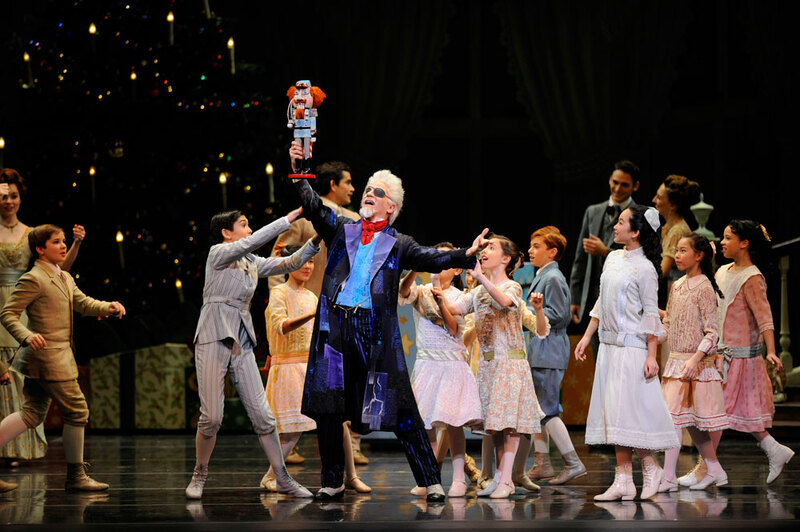 Sir Peter Wright’s production of The Nutcracker for Birmingham Royal Ballet opened in the city on December 5th. It’s been described by The Sunday Times as “…… sumptuous, with thrilling transformation scenes”, and “Unforgettable” by The Stage. It was on December 29th, 1990 – the year in which the Sadler’s Wells Royal Ballet relocated to Birmingham – that the Company, which became known as the Birmingham Royal Ballet, presented its first performance of The Nutcracker. 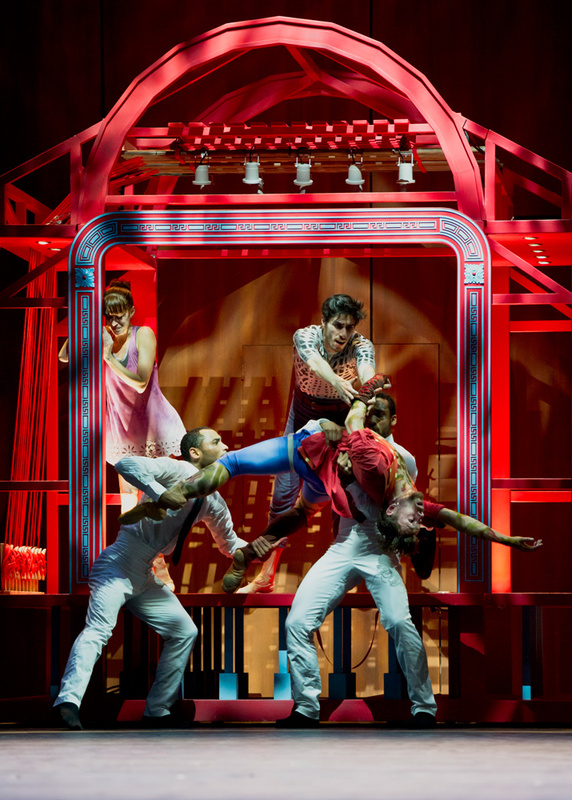 Choreography, based on the original by Lev Ivanov, is by Sir Peter Wright and Vincent Redmon. Sir Peter’s motivation for his version of The Nutcracker was “simply to create the warmest, most magical ballet that the audience had ever experienced”, and he dedicated it to the City of Birmingham to show his gratitude for its support for the Company. Birmingham Royal Ballet’s production of The Nutcracker runs from December 5th to 12th, at the Birmingham Hippodrome. For further information, please visit the Company’s website, and follow this link for tickets. On December 6th, Sir Peter Wright’s production of The Nutcracker for the London-based Royal Ballet opened at the Royal Opera House, Covent Garden. Sparkling with theatrical magic, it features designs by Julia Trevelyan Oman, who has drawn on 19th century images of Christmas for this classic festive presentation. The Royal Ballet has unearthed some fascinating facts about The Nutcracker – looking, for example, at the sort of challenges which Tchaikovsky faced when Marius Petipa created the scenario for this ballet. In Act II, the composer at least had the guidance of the different countries represented by the national dances, for his inspiration, but for the Sugar Plum Fairy? With his customary creativity, Tchaikovsky found a simple, and rather radical solution – he decided to use an entirely new instrument, the céleste, which has a sound similar to that of the glockenspiel, but with a softer and more subtle tone. Invented in 1886 by Auguste Mustel, only six years before the premiere of The Nutcracker, the céleste doubtless took its name from its delicate, bell-like sound which translates from the French as “heavenly”. The Royal Ballet’s production of The Nutcracker runs at the Royal Opera House, Covent Garden, from December 6th to January 16th. For more information and tickets, please visit The Royal Opera House website. It was on Christmas Eve in 1944 that The Nutcracker was seen in America for the first time – a performance given by San Francisco Ballet. Then, in 2004, Helgi Tomasson, the Company’s Artistic Director and Principal Choreographer, staged a new production, one that would belong wholly to San Francisco. Tomasson set his production in 1915, the year of the Panama-Pacific International Exposition in the city, so the home of the Stahlbaums takes its place alongside the ‘Painted Ladies’, the elegant Victorian-style houses on Alamo Square, where Drosselmeyer presents Clara with the intriguing nutcracker doll which – transformed into a prince – escorts her on a magical journey through the City. Taken through the Land of Snow, Clara finds herself surrounded by the blossoms and butterflies of the ‘Garden in the Pavilion of Dreams’ – a scene inspired by the Conservatory of Flowers in Golden Gate Park. Her journey continues with a trip around the world, during which the Sugar Plum Fairy hosts a festival of dance, calling on a succession of dancers to entertain Clara, culminating in the entrancing Waltz of the Flowers. San Francisco Ballet’s production of The Nutcracker takes place at the War Memorial Opera House from December 11th to 29th. For further information and tickets, please visit the San Francisco Ballet website. 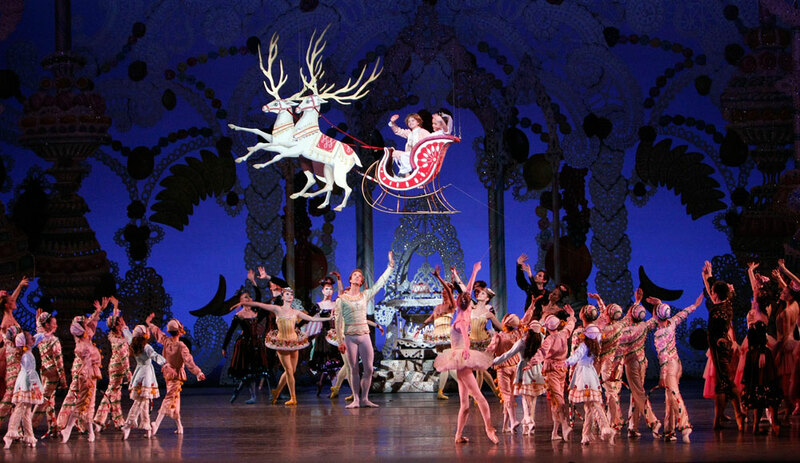 American Ballet Theatre opens its Christmas spectacular on December 13th. 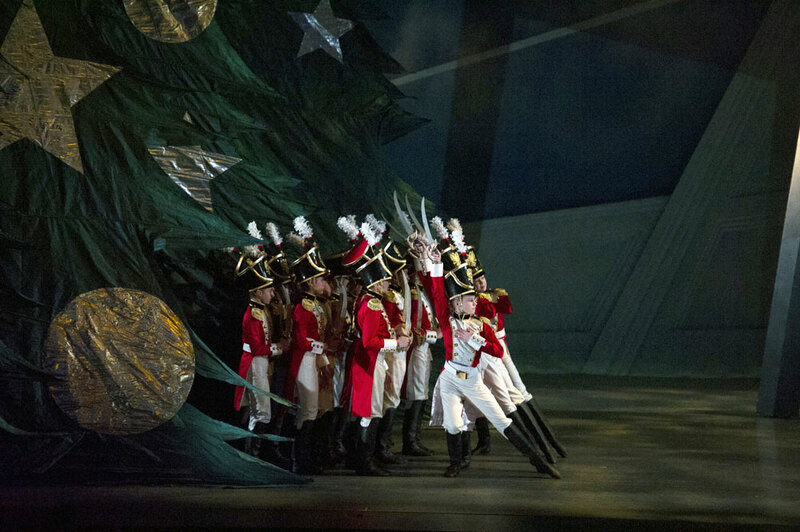 Choreographed by Artist in Residence, Alexei Ratmansky, this production of The Nutcracker has sets and costumes by Tony® Award winner Richard Hudson (The Lion King), and was given its world premiere on December 23rd, 2010. According to The New York Times, American Ballet Theatre “….. has a production like no other. Made with complete theatrical authority from first to last. The poetry of Alexei Ratmansky’s vision is very striking. I’m impatient to see it again”. The production runs from December 13th to 22nd at BAM Howard Gilman Opera house. For more information please visit the American Ballet Theatre website. Home to the world premiere of The Nutcracker in 1892, the Mariinsky Theatre in St Petersburg presents the Mariinsky Ballet’s 2013 production from December 21st to 31st. The Mariinsky Theatre, which has been providing the world with a wealth of great artistes for more than two centuries, can trace its history as far back as 1783, when a Decree on the establishment of a theatre committee “for performances and music” was published on July 12th of that year, and the Bolshoi Stone Theatre was opened on Carousel Square, which even today is known as Theatre Square. The theatre which stands on that site today was named the Mariinsky in honour of Empress Maria Alexandrovna, wife of Alexander II, and opened its first season on October 2nd, 1860, from where the great traditions of Russian musical theatre emerged. Amongst the ballet dancers whose names have graced the stage of the theatre were Mathilde Kschessinska, Anna Pavlova, Vaslav Nijinsky, Galina Ulanova, Rudolf Nureyev, Mikhail Baryshnikov, and, of course, George Balanchine. The Mariinsky Ballet’s production of The Nutcracker is imbued with tradition, featuring Vasily Vainonen’s 1934 choreography, with which the ballet premiered on February 18th of that year, at what was then known as the Kirov Theatre of Opera and Ballet in Leningrad. 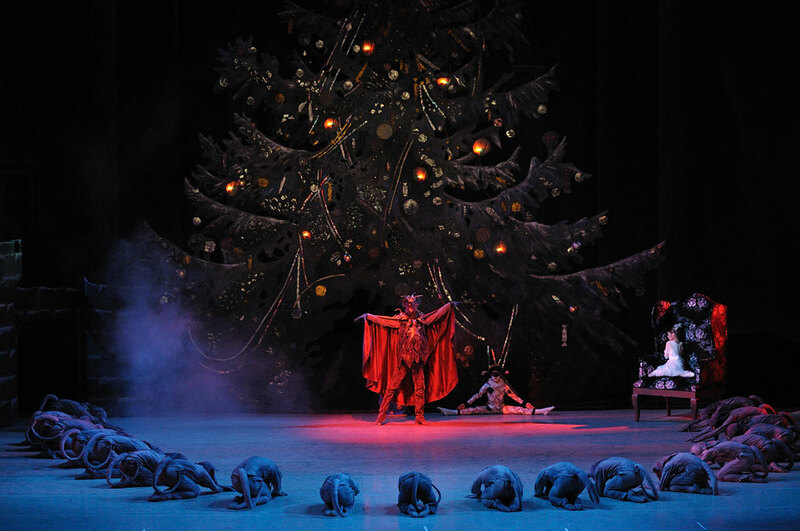 A revival, designed by Simon Virsaladze, was premiered at the same theatre on March 21st, 1954, and this is the production which will entrance audiences in St Petersburg this Christmas season. 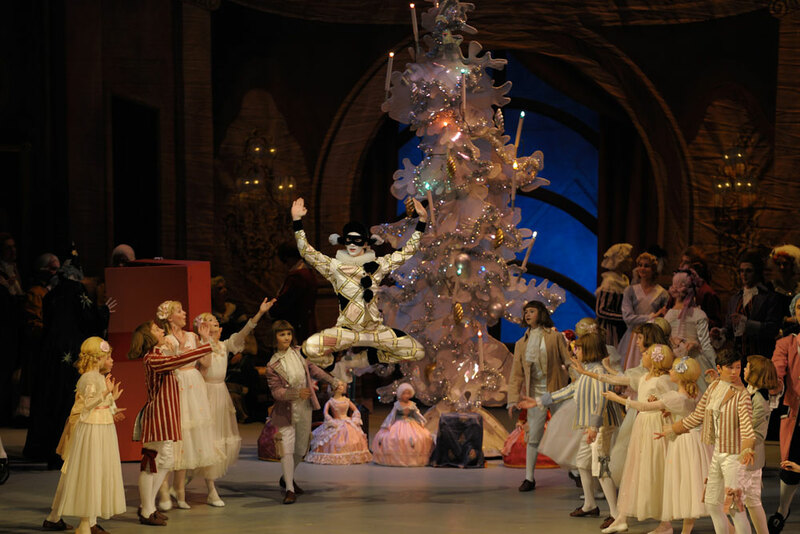 The Mariinksy Ballet’s The Nutcracker runs at the Mariinsky Theatre, St Petersburg, from December 21st to 31st. For further information and tickets, please visit the Mariinsky website where you’ll also find details of performances of the ballet by students of the Vaganova Academy of Russian Ballet. If you can’t get to St Petersburg, and you’re in the United States during December, you might catch a cinema production of the Mariinsky Theatre’s The Nutcracker, filmed at the historic St Petersburg theatre. SpectiCast, More2Screen and EuroArts Music are bringing to the cinema screen this traditional, sumptuous presentation of the ballet in 3D and 2D. For details and dates of these screenings, please visit the Specticast website (scroll down to the foot of the page for the schedule).